24 Mixed Size Heart Shaped Toppers- Choose your baby! 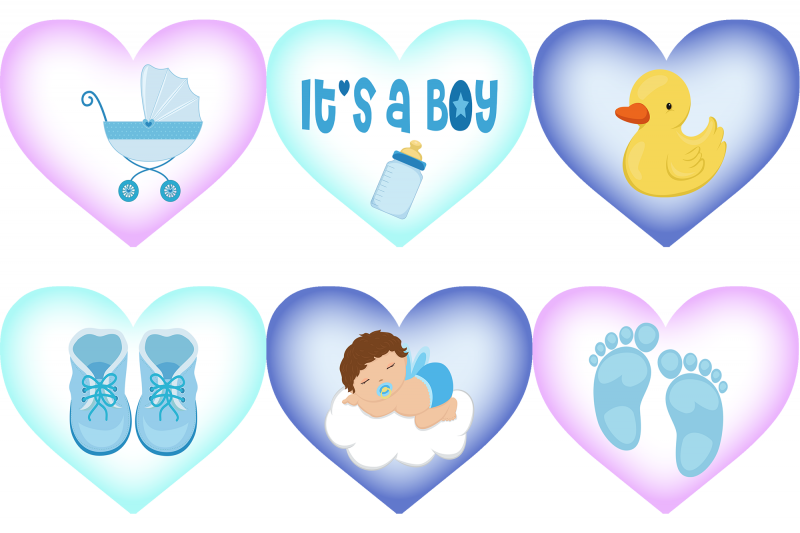 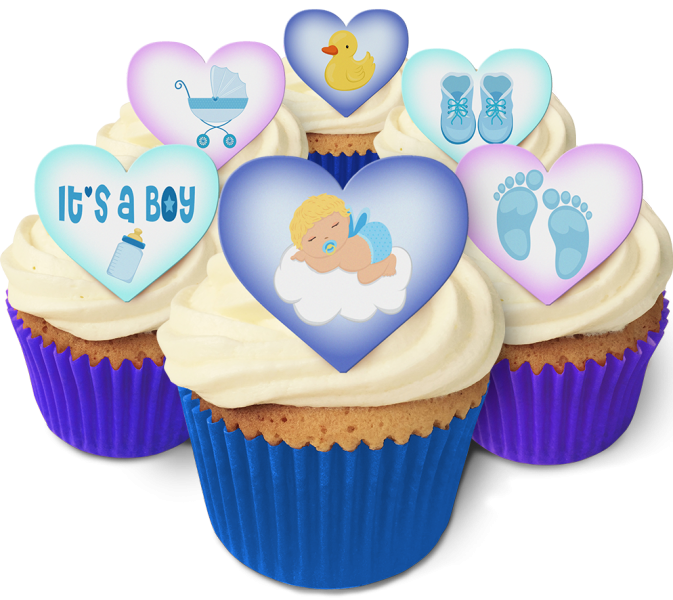 Blond, brown or black haired baby boy set of cake decorations. 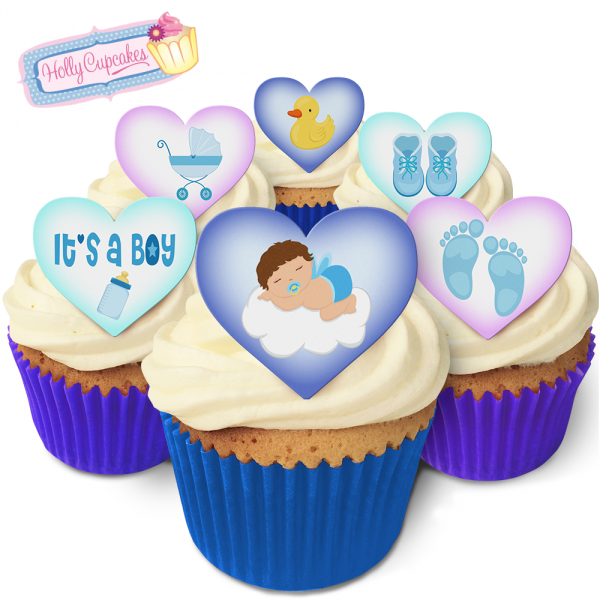 The 12 large heart cake toppers are 52mm wide and 44mm high- the perfect size for cupcakes or use on large cakes!